Is Mike the best financial planner on the Sunshine Coast? See what his clients have to say. Financial planning reviews of Mike Beal financial planning, your local sunshine coast financial adviser. We have known Mike for over 7 years and during that time have entrusted him for advice and management of our superannuation portfolio. We have found Mike to be very informative and trustworthy. He is very professional in his approach and provides solid reasoning for any portfolio changes. We have been very happy with the overall long term performance of our portfolio even during recent market volatility. Mike does what he says he will do in a prompt and efficient manner. We have already recommended Mike to a number of our family friends and they without exception have been very satisfied with his advice. We would have no hesitation in recommending Mike to anyone looking for sound financial advice and or management of their portfolio. Mike is very professional in his dealings with us. He has very good insight and knowledge in his field and our portfolio has grown under his guidance. We arrived in Australia requiring financial advice around superannuation, personal insurances and retirement planning. Mike Beal went beyond our expectations in his advice. He has a thorough understanding of the intricacies and options involved as well as the wider context of our goals and situation. He provides solid, practical advise with the utmost integrity offering options that genuinely suit rather than chasing a commission payment. Highly recommended. Mike has looked after my Superannuation Portfolio, Income Protection & Insurances for the past 10+ years. I have found Mike to be very honest, reliable & very trustworthy hence why I have kept my business with him all this time. We are in constant contact with Mike keeping me in the loop with whats going up with my personal Financials and constant investment updates & opportunity's. I have no hesitation & highly recommend Mike for all your financial planning requirements . Mike is always extremely helpful and has shown great knowledge and attention to detail with our Super and Insurances. He doesn't forget that he is dealing with people and families and his personal attention in that respect is second to none, you certainly don't feel like your "just a number". We would highly recommend Mike to anyone. Mike is always friendly & professional. He provides an excellent service and offers well founded and thoughtful advice. I am very happy to have Mike looking after my families financial planning. Mike has always been very helpful in answering my many queries in regard to Tax and Financial planning. He keeps abreast of the many changes and can quickly establish how it might impact me and my situation which is never straight forward. Highly recommend Mike to anyone looking for Financial planning advice. Mike helped us out with superannuation guarantee advice for our Australian based teams. He is very knowledgeable and professional. I would not hesitate to recommend him to anyone seeking financial advice in Australia. I have been dealing with Mike now for many years. During those years my super has consistently grown in value. I would recommend Mike to anyone who needs to see value and growth in their portfolio. For the last couple of years Mike has given me assistance regarding my investments. His advice and actions has resulted in healthy investment returns. I would recommend Mike to anyone that requires professional financial advice. Mike Beal has been looking after my portfolio for a number of years and has done a great job with a minimum of fuss and good attention to detail. I would highly recommend Mike and his skillset to any prospective clients seeking a professional financial planner and he is a great bloke to boot. I have known Mike for over 6 years. Excellent service and advice. I work extremely long hours and Mike is always happy to work around my availability. Friendly, knowledgeable and helpful. Mike has been my financial planner for the past 14 years. He has successfully guided me through to a transition to retirement pension. His personal and professional skills are highly regarded by me. We are extremely happy with all aspects of our business relationship with Mike - great results, friendly service, easily contactable. We highly recommend him to anyone looking for an enthusiastic, well informed and talented planner. I have been a client of Mike Beals for nearly 8 years and have always been extremely pleased with how Mike explains my finances in language I can understand and keeps me up to date at all times. Mike always makes himself available both by phone or email and I would gladly recommend him. Mike Beal has been very honest and knowledgeable in my financial planning and has helped me immensely in growing my share portfolio. I can't recommend him highly enough. With only 6 years till retirement age and the need to re arrange our whole financial strategy quickly, Mike took the time to listen to our needs. He put a plan in place that together, we feel very comfortable with but also, very confident it will achieve our goals. We could not be happier with his service and honesty and have had no hesitation in recommending him to family and friends. When I was approaching retirement I interviewed many financial advisors and found they were all 'tarred with the same brush' in a negative way for me but now I have stepped into the world of retirement I find Mike to be honest, friendly, professional and approachable re taking care of my finances. I was worried about how much I would need to retire on and not sure if I had the best super fund, I feel that Mike is an independent, impartial financial adviser as he advised me on multiple super funds from different providers. I am very comfortable recommending Mike to friends and family. As Accountants, we have found that our mutual clients have been very pleased with the service provided by Mike Beal. 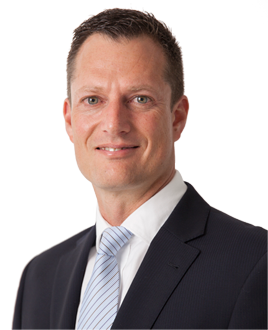 What is it like to be a Sunshine Coast Financial Planning Client of Mike Beals? I will respect your assets, regardless of the amount involved. It’s your money. You’ve worked hard for it. 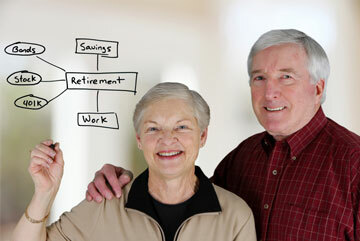 Superannuation offers the following advantages: 1. Low tax-rate environment prior to age 60 (max tax rate 15%) 2. Nil tax-rate environment after age 60 and 3. 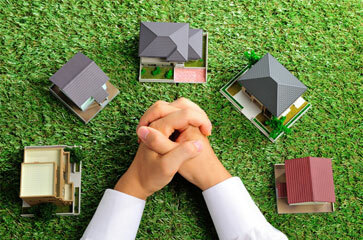 A wide range of investment options including cash, bonds, shares, and direct property via a Self Managed Super Fund. Mike can tailor the right superannuation plan for your needs. Fee structures in superannuation can erode your nest egg. 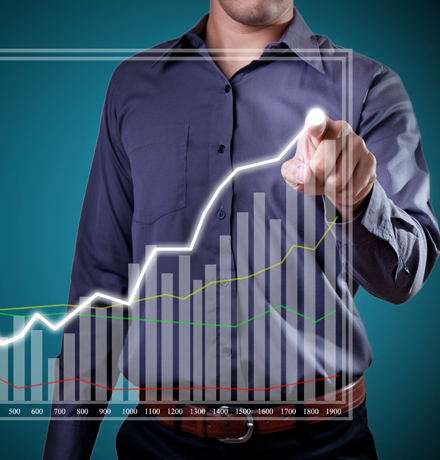 Through the use of exchange traded funds, index funds and a low overhead structure Mike can substantially reduce ongoing fees. Mike can also save you money on your insurance premiums with access to a range of insurers for life insurance, total and permanent disability, trauma insurance, and income protection insurance. With over twenty years experience in the financial sector working with two of the four major banks Mike has the knowledge and expertise to customise a plan to your unique needs. Because Mike works independently you aren’t just a number to him + Mike has access to technical, risk and investment research professionals who provide additional analysis on strategies. Due to lower overheads than larger corporates Mike has the ability to reduce your fee structure and provide you with peace of mind with the security of the Charter Financial Planning network. Each plan that Mike creates is unique and customized to the individual clients situation but here are an example of what could be included to give you an indication of Mike’s capabilities and knowledge. Is this the right super vehicle for you? How much more do you need to save to achieve your goals? Ready to make a time to discuss your financial future with Mike? Disclaimer: This website contains information that is general in nature. It does not take into account the objectives, financial situation or needs of any particular person.You need to consider your financial situation and needs before making any decisions based on this information.